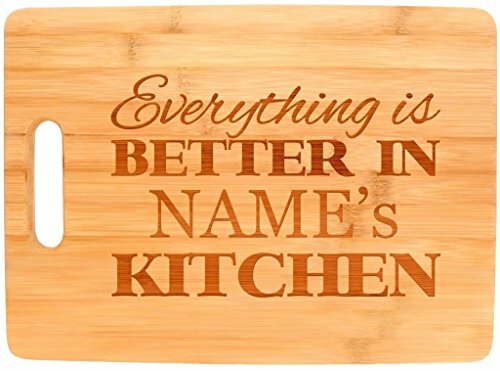 This personalized gift makes a perfect birthday gift or Christmas gift for a cooking enthusiast or chef. This bamboo cutting board is pre-oiled for lasting durability. Whether on duty or on display, this beautiful laser engraved cutting board is sure to please. 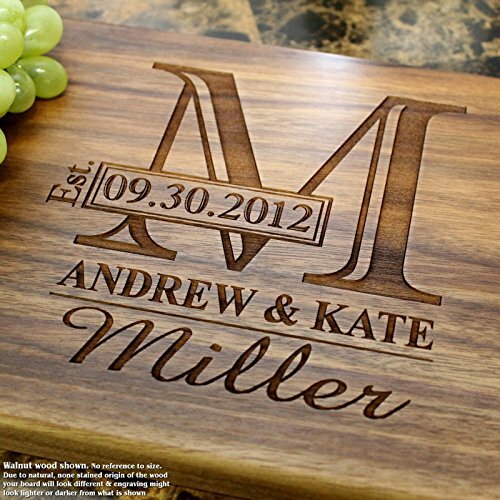 Because every piece of wood is unique, the final engraved product may be slightly lighter or darker than pictured. Bamboo is stronger than hardwood, easier on kitchen knives, and is more sustainably harvested than traditional hardwoods. Cutting boards make a perfect wedding gift, anniversary gift, or birthday gift for a home chef. Cutting boards are perfect for kitchen wall decor.